Sleek composition meets purpose with this robust 72" gray Bosconi double vanity set. The integrated ceramic sinks and vertically hanging mirrors will give any bathroom a stylish and current feel. Features include two spacious cabinets with soft closing doors, as well as, two detached side cabinets with three pull out drawers each. Plenty of space to house your essential bathroom supplies. 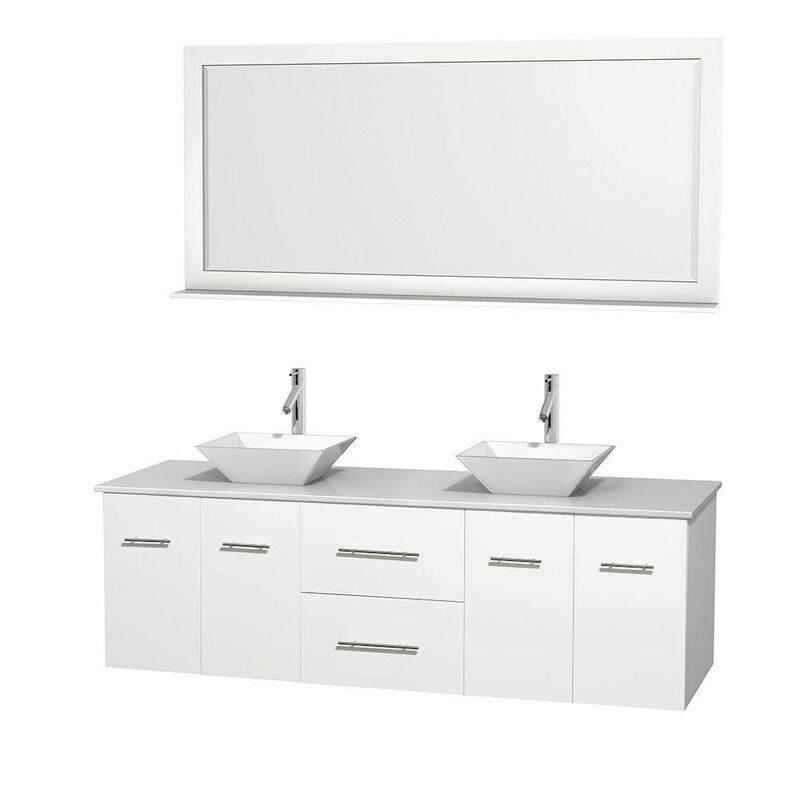 Centra 72-inch W 2-Drawer 4-Door Vanity in White With Artificial Stone Top in White, Double Basins For a bit of modern style in your bathroom, choose this beautiful vanity. Its comes with a nice white artificial stone counter and white solid wood base for strength and style. Put a classic feel in your bathroom with this good-looking set from Wyndham Collection.